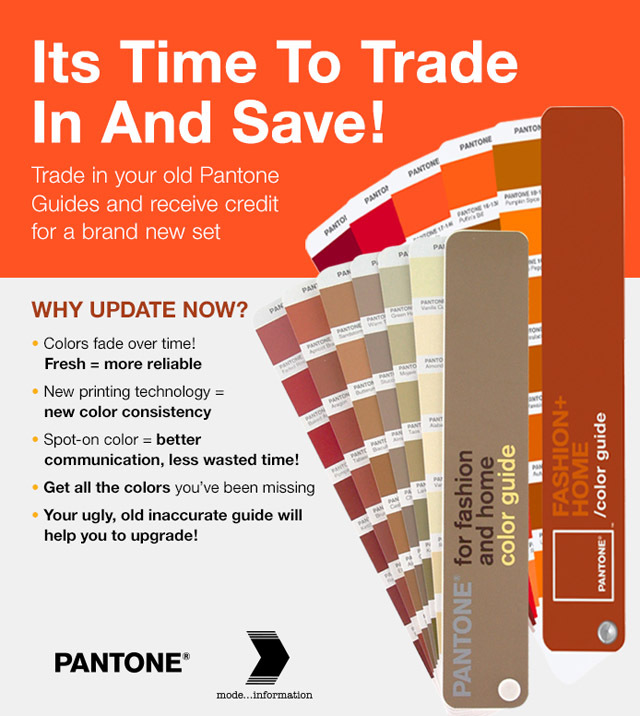 Pantone Trade In FR | mode...information s.a.s. Trade in any FHI Color guide and get a 30 € rebate on the purchase of any new FHI product mentioned above. Trade in any FHI Cotton passport and get a 100 € rebate on the purchase of any new FHI product mentioned above, excluding the FHI Colour guide. Trade in any Colour Specifier and Guide TPG Set and get a 120 € rebate on the purchase of any new FHI product mentioned above, excluding the FHI Colour guide and FHI Cotton passport. Trade in any Cotton Planner and get a 150 € rebate on the purchase of a new FHI Cotton Planner, Cotton Chip Set or Cotton Swatch File. 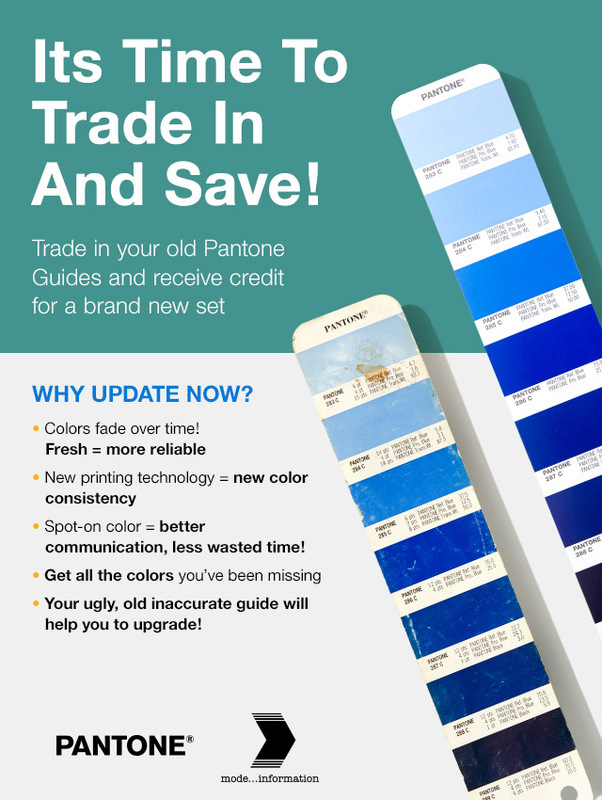 Trade in any Cotton Chip Set and get a 300 € rebate on the purchase of a new Cotton Chip Set or Cotton Swatch Library. Trade in any Cotton Swatch File and get a 1.000 € rebate on the purchase of a new Cotton Swatch Library.